Vanderburgh (Vandenburg or Vanderberg), Colts Neck, Edinburgh, Stone Hill Farm, Holmdel, Muhlenbrink Road Extension, Scobeyville, Cross Road, Laird Road, Phalanx Road, Hockhockson Road, Lincroft, Red Bank, Tinton Falls, Marlboro, Matawan, Freehold, Freehold Township, Asbury Park, Middletown, Nut Swamp, Allentown, Florence, Jamesburg, Shrewsbury, Little Silver, Eatontown, Belmar, Spring Lake Heights, Manasquan, Rumson, River Plaza, Oceanport and surrounding areas. 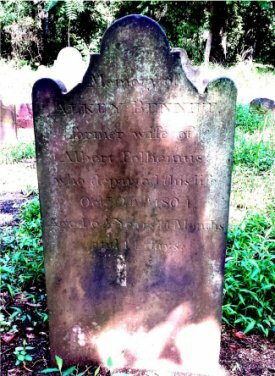 My 4th great grandmother, Alkey VAN MATER Polhemus Bennett, is buried with her 2nd husband, Albert Polhemus, in the Polhemus Family Burial Grounds off of Laird & Phalanx Roads in Colts Neck, NJ. Alkey was born on November 12, 1738 and died October 24, 1804. I visited this cemetery in August of 2017. As of that date it has been restored and is in very good conditon. 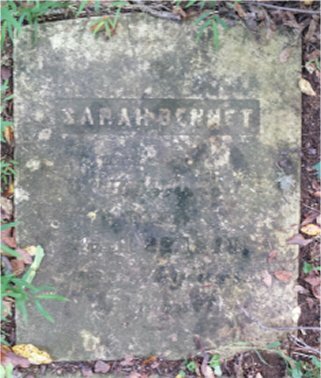 There are additional Bennett relatives buried here. My family has a direct line to the Lippincott's who fought for the Patriots in the Revolutionary War. I'm in the process of joining SAR. 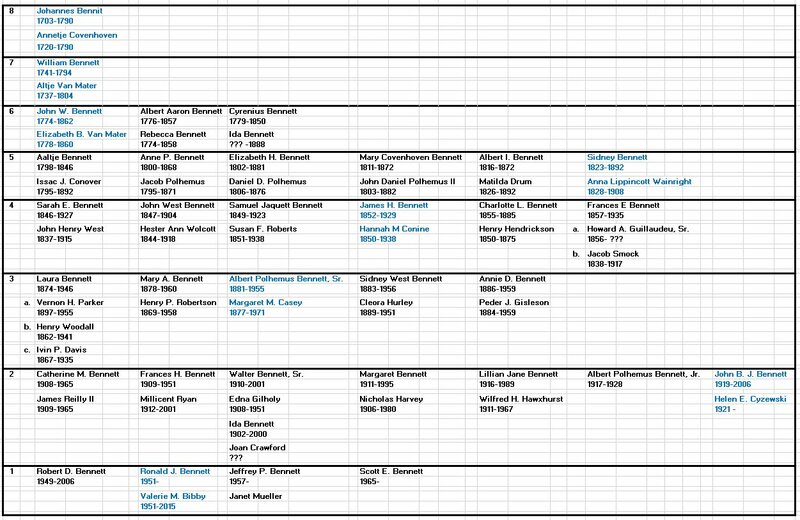 All with direct bloodline connections to Bennett/Wainright/Lippincott relatives are eligible to be SAR or DAR members. This burial ground is located in Colts Neck, NJ, on private property in a very difficult to access, heavily wooded setting. I visited the site in August of 2017 and found that it has been completely neglected and is in serious ruins. There are direct Bennett descendents buried here.